Sources said that all the "evidence" of the pre-dawn strike on the JeM camp, including radar and satellite imagery were given to the government on Sunday. Sources in the security establishment on Wednesday told PTI that radar and satellite images confirming February 26 bombing of the "intended targets" at Jaish-e-Mohammad terror camp in Balakot and "causing significant damage" to JeM's biggest training camp have been given to the government by Indian Air Force (IAF). The information about the "evidence" has been revealed by sources just hours after a foreign news agency published a report claiming that satellite images of the JeM's facility at Balakot in Pakistan showed the facility has not suffered any damage and all its buildings are still intact. Sources said that all the "evidence" of the pre-dawn strike on the JeM camp, including radar and satellite imagery were given to the government on Sunday. The 'evidence' clearly showed that the S-2000 laser-guided munition used by IAF's Mirage-2000 fighter jets in the operation succeeded in hitting the intended targets. Sources added that S-2000 smart bombs are designed to penetrate the targets and cause a blast inside. Sources said that satellite imagery of the site of the JeM camp were also collected by the IAF from independent sources to have a better assessment of the impact of the operation. 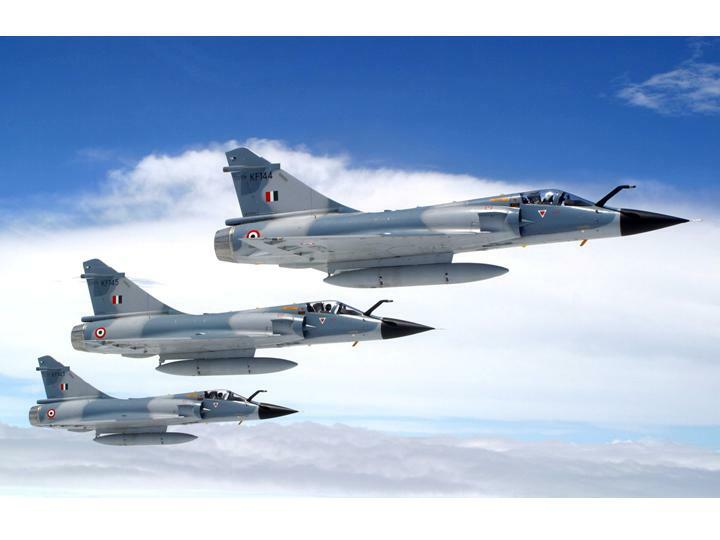 The IAF airstrikes, which the government had termed a "non-military" and "pre-emptive" action, followed a suicide attack on a Central Reserve Police Force(CRPF) convoy in Pulwama, Kashmir, in which 40 personnel were killed. On Monday, it was revealed by sources that technical surveillance by National Technical Research Organisation (NTRO) had found at least 300 mobile phones were active at Jaish's Balakot camp hours before the IAF airstrikes. Sources said the number of active mobile phones give a clear indication of the total number of terrorists who were present at the camp when it was completely decimated by IAF airstrikes. Sources told ANI that the surveillance of the facility was started by the NTRO, which comes under the office of National Security Advisor, after the government had given its nod to the IAF to target the JeM's camp in Pakistan’s Khyber Pakhtunkhwa province.